Honda has opened a new hydrogen fuel station in the United Kingdom. The automaker claims that it is the first fuel station of its kind that can produce commercial volumes of hydrogen, using solar energy to do so. The company has been investing in the development of a working hydrogen infrastructure in its favored markets, such as the United Kingdom and the U.S., in order to prepare for the eventual launch of its fuel cell vehicles. The fuel station draws electrical power from a solar farm that is located nearby. This electricity is used to split water molecules into their component parts of hydrogen and oxygen. This process produces no harmful emissions and is considered more environmentally friendly than conventional hydrogen production methods. The hydrogen produced at the station is compressed to 900bar pressure and can be used to fuel vehicles with 350bar and 750bar hydrogen storage tanks. 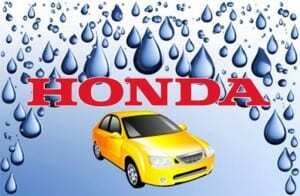 Honda estimates that its new station will be able to produce enough hydrogen to cover more than 1.30 million miles of travel. This estimate is based on the company’s FCX Clarity, which has a 285-mile range. Fuel cell vehicles have shown that they can be more efficient, in terms of fuel consumption, than typical electric vehicles that rely entirely on batteries. Without an effective infrastructure and a way to produce hydrogen in an inexpensive manner, however, these vehicles will not likely be popular among consumers due to their high cost. Notably, the new hydrogen station is somewhat less expensive than its conventional counterparts. The facility cost approximately $1.5 million to build. Hydrogen can be purchased at the facility for approximately $8, which is slightly more expensive than conventional petroleum. The cost of the hydrogen sold at the facility is expected to drop as hydrogen production methods improve over time.